I heard that Japan’s contribution to the open source CAE communities in the world is limited. I’m afraid that it is the case but many lively activities are actually performed in Japanese communities. In this blog post, I will try to introduce some interesting topics so that the users around the world know what has been going on in Japan. In Japan, the Open CAE Society of Japan was set up on 9 November, 2009. This general incorporated association has held the Open CAE symposium annually and hands-on training courses several times each year about OpenFOAM, Salome-Meca, and ParaView among other things in many parts of the nation. The number of participants in the annual symposium exceeds 100 in each year. You can get the latest news on this year’s symposium from the twitter account(@OpenCae2016). The association additionally gives support to the local study meetings (Open CAE “Benkyou Kai” in Japanese) where many willing industrial and student users get together about once a month to talk to each other about the progress of their simulations of interest and promote friendship between the users. These meetings are actively held in many places in Japan as illustrated in the following figure. In Japan, a rivalry that can be just as fierce lies between the eastern Kanto region and western Kansai region, both on the main island of Honshu. Kanto is home to the country’s modern capital of Tokyo and surrounding cities, including Yokohama, Chiba and Saitama. Kansai is home to its historic capital of Osaka, as well as Kyoto, Kobe, Nara. The cultural contention between the two is so longstanding, and entertaining, that it’s regularly discussed on Japanese TV shows. You can watch the following movie to find out one of the most interesting and unique examples of their activities. In Kansai group, they build experimental equipments and carry out experiments to improve their understanding of the simulation results. You can also find the presentation materials they have created in the following links. Almost all the participants are Japanese, so their materials are written in Japanese. The last topic in this post is about a new book. 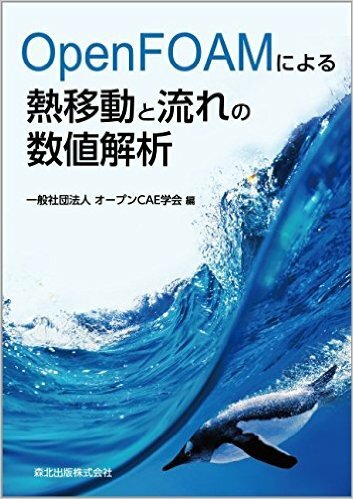 The first Japanese OpenFOAM book about the numerical analysis of heat transfer and fluid flow using OpenFOAM will be published in this month. 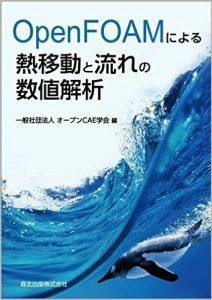 It is written by the most famous Japanese blogger about OpenFOAM. I will continue to report the latest news on the community in Japan. P.S. Please tell me your opinions on how to make use of these Japanese materials in the world community! Thank you very much for detailed information and contribution into OpenFOAM. I am one of the followers of you and Since I also live for a long time and work in Tokyo I would like to collaborate with you both to improve myself in OpenFOAM and also help you to make this kind of updating related to OpenFOAM Japanese users. I’m a member of the Open CAE Society of Japan and in charge of boosting dispatch of information related to open source CAE softwares to the world. This post is part of my attempt to offer information on the open CAE community in Japan to the world. If you are interested in these activities, I want to have an opportunity to meet and talk with you! Thank you very much on this blog. I’ve been into aeroacuostics and FWH-analogy and can’t wait to see your further posts on this topic. Take care and best of luck. Thank you for your interest in my blog and your feedback. I’m currently finding out things about CAA simulations through trial and error using OpenFOAM to enrich my understanding of this topic. I’ll continue to cover it and improve my blog! Well, if I may help, this is a very good resource and a classical test case on aeroacoustics.